ANN ARBOR, MI – The Thomas More Law Center (“TMLC”), a national public interest law firm based in Ann Arbor, Michigan, announced today that it has won a significant legal battle on behalf of Christian pro-life sidewalk counselors sued in a New York federal district court by the New York Attorney General’s Office (“OAG”). In a 103-page opinion issued last Friday evening, U.S. District Judge Carol Bagley Amon rebuked the efforts of the New York Attorney General’s Office to silence sidewalk counselors who regularly assembled outside of Choices Women’s Medical Center (“Choices”), a Queens abortion clinic, to plead for the lives of the unborn. TMLC attorneys Tyler Brooks and Kate Oliveri represent two of the thirteen counselors sued by OAG, Angela Braxton and Jasmine Lalande. Richard Thompson, TMLC President and Chief Counsel praised the great cooperation between TMLC attorneys and attorneys associated with the Thomas More Society and Liberty Counsel, who represented the other Defendants. 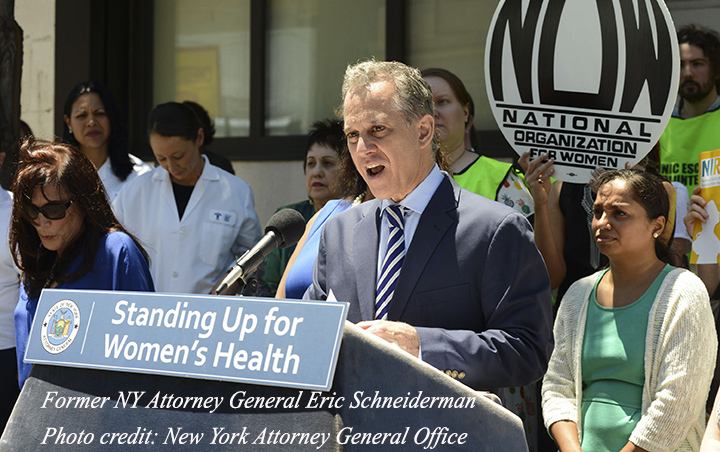 In its lawsuit, OAG alleged that the thirteen sidewalk counselors violated federal, state and New York City laws prohibiting the obstruction of abortion facilities, and harassment and intimidation of women who were seeking abortions. It petitioned the federal court to create a sixteen-foot buffer zone around Choices abortion premises and levy fines, attorney fees and compensatory damages against the Defendants. An extensive preliminary injunction hearing was held between February 12 and March 6, 2018. In addition to videos, photographs and other documentary evidence, OAG called seven witnesses and the Defendants called ten witnesses. On May 22, 2018, Judge Amon heard oral arguments on OAG’s motion for a preliminary injunction. In her 103-page opinion and order, Judge Amon denied the OAG’s motion finding that the OAG had failed to substantiate any of its allegations against the Defendants. For years, Choices has had security cameras trained on its entrance. And in June 2016, the OAG installed a high-mounted surveillance camera to capture the exterior of Choices’ main patient entrance surrounding sidewalk. Moreover, OAG investigators obtained additional video evidence in undercover operations where they approached Choices, pretending to be patients and their companions, while wearing hidden cameras recording video and audio. Despite these investigative activities, Judge Amon found that not a single video introduced into evidence substantiated the OAG’s allegations against the sidewalk counselors. The Court also heard testimony from several Choices employees and escorts, including Merle Hoffman, the owner of Choices who proudly accepts the title “Millionaire Abortionist” and who has said that pro-life advocates should be considered the “American Taliban.” Judge Amon found the witnesses produced by the OAG were not credible. OAG can appeal Judge Amon’s decision to the U.S. Court of Appeals for the Second Circuit. However, the appellate court is required to defer to the findings of fact made by Judge Amon, making any such appeal very difficult for the State.